I have been using this phone for almost a year and there is nothing to complain about this phone. The camera quality and the video recording is just amazing. Even the front camera has very good quality. The sound is also nice. It is loud and clear. The phone runs smoothly and i have never had problems with lagging or switching off by itself. The new feature of 3D touch has been introduced and it has helped in many ways. Airdrop feature in the iphone is a very good feature which is a very secure way of transmission of data sharing. Siri is also more interactive in this phone which is loads of fun. My joy knew no bounds when I was gifted an iPhone this summer. I couldn&apos;t ask for more when I realised that it was an iPhone 6s. PROS Laced with an impeccable camera quality, this phone has made my photos the talk of the town. The iCloud facility has enabled me to share all my documents at the push of a button. The loud and clear speakers speak volumes on the brand Apple. The tools are very efficient and easy-going. This phone came to my rescue when I had to shoot a short movie in a short span of 3 days. I have never had any issues with the battery as most of the Android users do. CONS However, its not all hunky dory in tinsel town. I miss all the old tunes on 93.5 FM station as I don&apos;t have any access to the radio. You have to pay through your nose to buy this stylish phone. I cannot download any songs for free. I am happy with my iPhone 6s but I wish I had some more features. The camera quality and the video recording is just fantastic. Even the front camera has very great quality. The sound is also nice, It is loud and clear. The iPhone 6s Plus runs smoothly and I never had any problems with lagging or switching off by itself. The new feature of 3D touch has been introduced and it has helped in many ways. This phone does not lags, just phenomenal performance along with amazing gaming experience. Screen size and build quality is just amazing, feels just right in hand. Both front and rear camera are simply great, pictures are so crisp and vivid. Going with 4 stars. Even after considering a few drawbacks I&apos;m going with 4 stars, love this phone as it has it&apos;s own charm with super fast performance, never experienced any lags, both rear and front cameras are on point with such crisp and vivid display. This is a masterpiece of this year. 8 Pricebaba users have written their experience with Apple iPhone 6S Plus 64GB. If you own Apple iPhone 6S Plus 64GB, please do leave your feedback too. 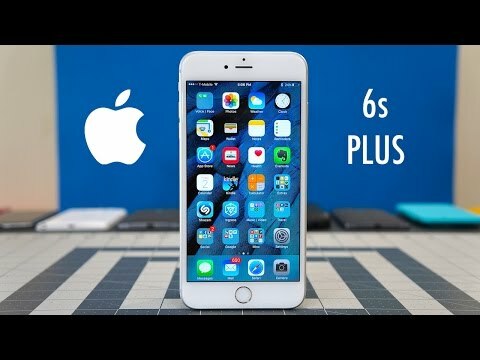 Lowest price of Apple iPhone 6S Plus 64GB price in India starts at Rs. 65,000 Apple iPhone 6S Plus 64GB is available on Flipkart at Rs. 65,000. Prices updated on 21st April 2019. The iPhone 6 Plus was the first time when Apple jumped into the Phablet game. For years, Apple battled the large screen phones and stated the one handed use of phones as the primary reason for keeping the size of the iPhone always within 4-inch size. In several keynotes, Apple demonstrated how it was imperative that your thumb is able to reach out to the most extreme corner of the screen for easy usage and that is why they would not budge from the small screen size. However, with the demand for bigger phones on the uprise, Apple decided to give an option to its users with the iPhone 6 Plus. It was the iPhone for those who wanted a big device and made improvements in areas like battery life as well as the camera over the smaller iPhone 6. With the iPhone 6 Plus proving to be quite a hit and doing as well as any phablet out there, Apple gave the device the refresh it deserved with the iPhone 6s on September 9th, 2015. The iPhone 6s Plus features a Touch ID, the Fingerprint scanner in its Home button, like the iPhone 6 and iPhone 6 Plus, allowing you for quick unlocking and verification for payments on your device. The camera on the iPhone 6s Plus has been bumped to 12 MP and is capable of recording in 4K when it comes to videos. The iPhone 6s Plus along with the iPhone 6s are the first iPhones to feature 2 GB of RAM on board. The iPhone 6s Plus is slightly heavier and thicker than the iPhone 6 Plus thanks to the 3D Touch enabled display that allows you to Force Touch on the display like on the Apple Watch and New Macbook. The iPhone 6s Plus weighs 192 grams and is 7.3 mm thick. The processor on board is the Apple A9, which is a Dual Core SoC with Motion co-processor M9 embedded within the SoC. iPhone 6s Plus is available in 16 GB, 64 GB and 128 GB variants in four colours: Silver, Space grey, Gold and Rose Gold. This is the first iteration of iPhones, that have got the Rose Gold version. In terms of software, the iPhone 6s Plus comes with iOS 9 out of the box and retails with the standard set of accessories including headphones, lightning cable, power brick, documentations and the much loved Apple stickers.